Separate fact from the fiction when it comes to women's training and nutrition. Caveat emptor is Latin for let the buyer beware, but how does that correlate for today's Internet user? Online buyers are bombarded with conflicting information, fired like misguided missiles that rarely hit their mark. Consult multiple sources and you'll often get multiple answers. So to clear up the smoke that can cloud your thinking, we'll address six common misconceptions when it comes to women's training and nutrition, saving you the confusion—and lost time—that comes from Googling them. We've all heard that one. And yes, any woman who lifts weights over time will become progressively stronger, but that doesn't mean that she'll physically start looking male. See, women produce just a fraction of the natural muscle-building hormone testosterone that men do. Even serious female trainers with years of experience can't build the bulky muscle you see on male bodybuilders. Of course, anyone—man or woman—who injects themselves with testosterone or anabolic substances will super-enhance their muscular development, but that's well outside of what one can do naturally. For the rest of us, the process of becoming stronger and building lean muscle mass is the accumulation of dozens—if not hundreds—of workouts. By adding lean mass to your physique, you burn more calories on a daily basis and stay leaner. So don't be afraid to grab some heavier weights! This statement is about as true as saying that gold will turn into silver. It's simply not possible. In the presence of good nutrition and rest, a muscle grows in size in response to a challenging resistance-training program via a process called hypertrophy. But when you stop lifting, the reverse occurs. It's called atrophy, where the muscle simply becomes smaller. Muscle fibers don't magically turn into fat cells; the muscle fibers simply shrink. If you were to abandon your clean eating and replace those foods with nutritionally void junk foods or excess fatty calories, the scales likely would start tipping in the direction of storing greater amounts of body fat. What may have once been a firm, dense muscle then feels flabby. That's a sign of a change in body composition (more fat, less muscle) rather that one kind of fiber type being converted into another. My advice? Stick with the weight workouts and healthy eating. If you need time out for an injury, reduce your food intake and keep it healthy, trying to find other ways to exercise safely. When it comes to weight training to build muscle (and curves), the rule is this: Train it hard in the gym and then give it at least 48-72 hours between workouts to recover. Why? All that hard work you do in the gym is the stimulus for muscle growth; the actual repair and rebuilding occur the next few days given rest and proper nutrition. Cut the recuperation period short and you cut short the muscle's ability to grow stronger and larger. Training more frequently induces overtraining, and your results will suffer big time. It's worth noting that aerobic exercise involving the lower body can be done more frequently; it involves slow-twitch muscle fibers (resistance training targets the fast-twitch ones) for activities which can be sustained for longer periods of time. Cardio can also play a role in helping shape your lower body and can be done more frequently, but it won't build your booty the way weights can. Let's begin by saying that protein is the raw material—the building blocks if you will—of muscle. 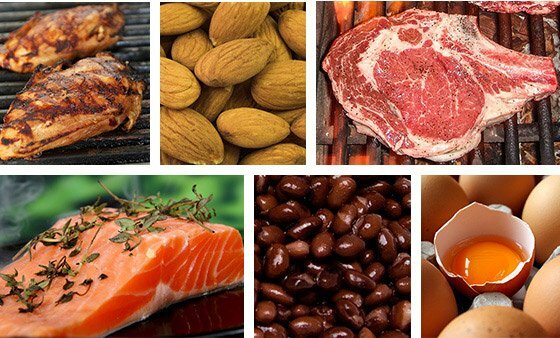 Once protein is digested, your body breaks it down into the individual amino acids, which your body uses for all sorts of cool and important stuff, including muscle repair and growth. When you work out hard, make sure you don't shortchange your amino supply. Individuals on a calorie-restricted diet should be especially cautious about consuming enough protein. Fall short on the muscle-building macro, and your body may divert amino acids for other metabolic purposes. To ensure you get all the essential amino acids, consume a variety of protein sources, especially if you are a vegetarian. An easy way to remember how many grams of protein you need each day is to simply know your bodyweight, in pounds. So if you weigh 125 pounds, strive for 125 grams of protein, spread over the course of the day. If you find it difficult to consume that amount, a protein supplement is an easy and convenient way to get more. The total number of calories is much more relevant to your body weight than the number of meals you eat each day. Eat more calories than you burn and you'll gain weight; eat fewer than you expend and you'll lose weight. Theoretically if you eat the same number of calories at each of your six meals as you do for each of your three, you'd gain weight, but alas "grazing" entails smaller meals because you're simply not as hungry. This way the body also gets a steady supply of amino acids to help support muscle-building. Bring high-protein snacks with you to work or school. You'll also be less likely to splurge for junk or fatty foods if you suddenly get hungry between meals. I'll be the first to tell you that if you eat a clean, balanced, high-protein diet and can get six meals every day, you may not need to supplement. But for most of us without enough hours in the day, fixing all our meals is difficult. That's when supplements can be like a nutritional insurance policy. 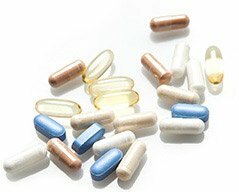 A daily multivitamin helps ensure that you get the proper dosages of vitamins and minerals that you may not get from your diet. Fish oils have multiple benefits, ranging from possibly reducing the risk of cardiovascular disease to lubricating joints. Even the occasional pre-workout boost from caffeine can help after a long day. And there are so many muscle-building advantages to consuming a whey supplement—mainly that it helps with muscle recovery. So you may not need all the power-and strength-boosting supplements a man might take, but don't think you can't make significant progress with the right ones. Get the proper mindset, training program, a smart diet, and smart supplementation. Don't let these myths set you back any longer from reaching your goals. Fat loss is a long, slow journey. It's made even slower by dieting errors. Don't fall into the same traps that I did! Read my mistakes, learn from them, and your fitness goal will be a reality much sooner. The best defense against failure is good information. These debunked fitness myths will help you recognize right from wrong and truth from lies!